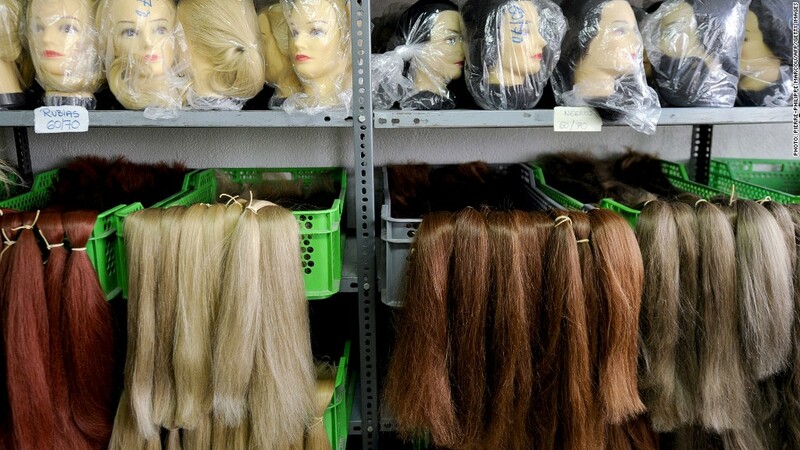 Remy hair, the highest quality hair extensions made from human hair, are being stolen across the country on underground markets. Two young thieves walked into John's Beauty Supply store in Chicago on Monday morning, pulled out a bottle of pepper spray and a gun, and went straight for the good stuff: remy human hair extensions. A female burglar pepper-sprayed a worker behind the counter before grabbing about 10 packs of remy hair, which sell for $100 each. A male thief held a gun to another employee and had her take $1,000 from the register and shove more extensions into a garbage bag. This incident is just the latest in a spate of hair extension heists that have been sweeping across the country. Remy hair extensions, which cost anywhere from $100 to thousands of dollars per pack, have become highly sought after, and an underground market for the goods has popped up in response. "They're selling them to hair salons," said Shayna Crosby, who works at John's Beauty Supply. 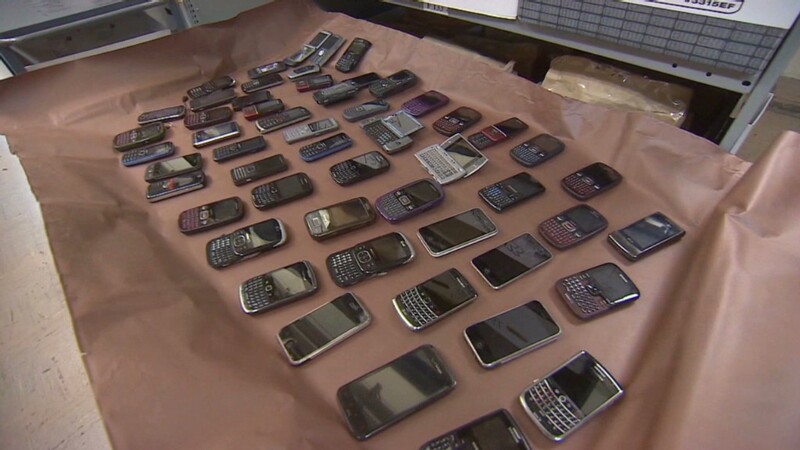 "People even sell them online or out of the trunk of their cars." The remy hair frenzy is not without merit. They're the highest grade of real, human hair on the market, because the cuticles are kept intact and not stripped. This means they look natural and stay shiny, soft and tangle-free. But the locks, which are often sewn in at salons, come at a high price. The average person uses two packs each time and the hair needs to be replaced every three to six months. This works out to hundreds, if not thousands, of dollars each year. In the last eight months alone, there have been two similar beauty supply store burglaries in Chicago, according to police officer Jose Estrada. Last year, robbers made away with a reported $230,000 worth of extensions from the 35th Street Beauty Supply store in Chicago's Bronzeville neighborhood. A year earlier, thieves bypassed Beauty One's register and beelined straight for the remy packs, taking $80,000 of the product. Yoonjin Han, who works at Beauty One, said she hears these heists happen even more often -- at least once a month. They aren't just happening in Chicago. Hair extensions robberies have been reported across the country, from Texas to Oklahoma to Florida. While the thefts are on the rise, there isn't an official count. An FBI spokesman said its crime data aren't broken down by "specific details such as hair extensions." Once the extensions are taken from stores, experts say thieves have no problem moving them. "People who have the audacity and the ingenuity to do this will be able to sell them," said Neal Lester, an English professor at Arizona State University who has been lecturing about hair for the last 25 years. "It's no different from selling DVDs, where they are sold out of the back of your trunk." They're even easier to make off with, and to get away with, than other products that commonly make their way into underground markets, like iPhones or over-the-counter medication, since the extensions aren't marked with bar codes or serial numbers. Once they're stolen, they're virtually impossible to trace or tie back to a store. Lester says that the pricey hairpieces have grown ubiquitous in recent years, as documented by movies like comedian Chris Rock's "Good Hair," which shed light on the lengths women go to -- and premiums they cough up -- to keep up their looks. "The trend speaks to the notion that hair is so intricately wrapped to one's identity that there are risks people take," Lester said. "And it's a telling moment in the economy, that people are now ready and willing to pay such a price."